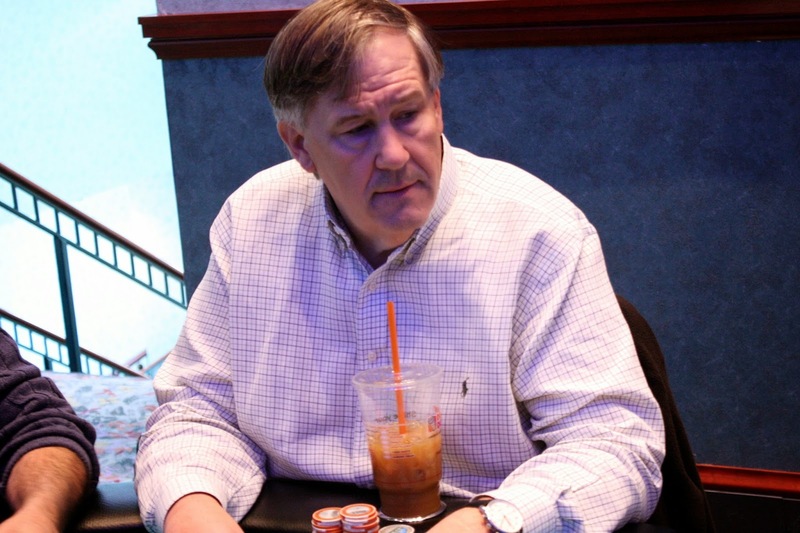 On the final hand of play, Paul Giancola was all in with [Qd][9d] and was up against Tedford Armistead's [As][9c]. The [Jc][Td][3h] flop gave Paul some hope as he had flopped an open ended straight draw. The [Js] turn and [3s] river failed to improve Paul's hand, so Tedford will win the pot and the tournament. 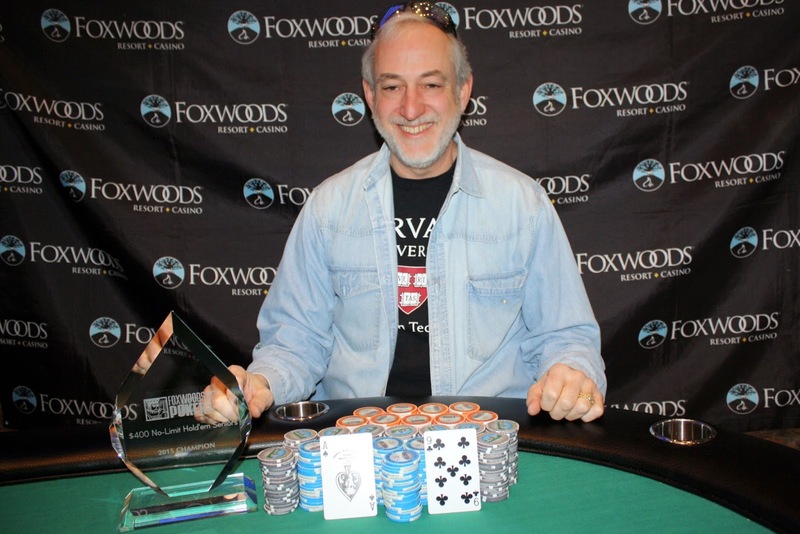 Along with the $13,594 first place prize, Tedford will win the title and the 2015 Foxwoods Poker Classic trophy. Congratulations, Tedford. 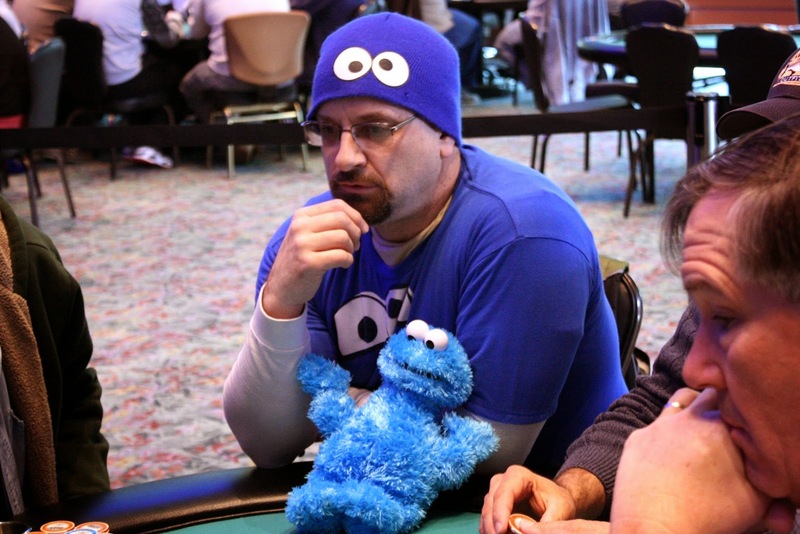 Barry Zarb was all in preflop and was called by Paul Giancola. Paul was looking to knock out yet another player as he was coin flipping with [Ah][Ts] against Barry's [7s][7d]. The [5c][9s][Kc] was good for Barry, but the [9c] hit the turn to give Paul some extra outs. Nobody had a club, but Paul could hit a king to counterfit the pair of sevens, as well as an ace or a ten. 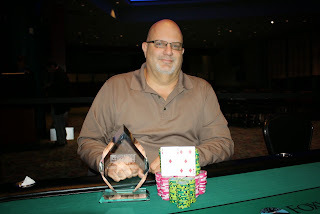 Predictably, the [Tc] hit the river to give Paul the winning hand, eliminating Barry in 3rd place. He will earn $5,856 for his efforts. 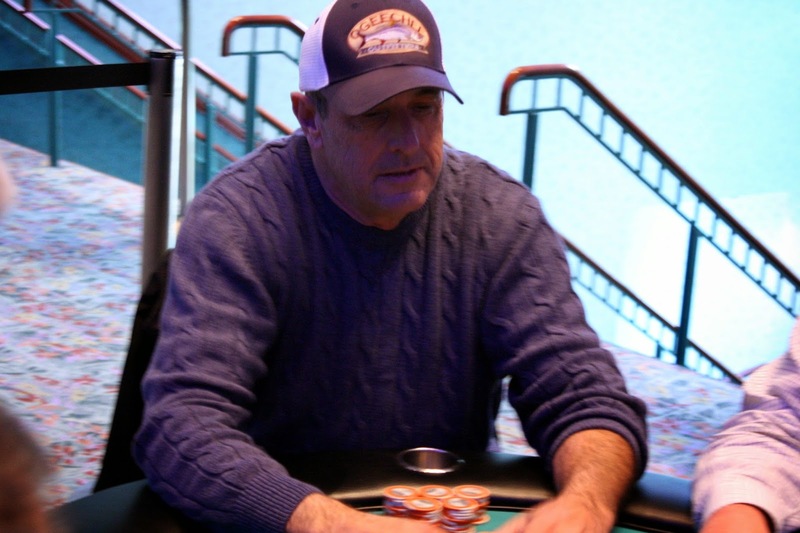 Three players saw a [Qh][Jd][6c] flop, and Ken Eggleston moved all in. Paul Giancola made the call, and Tedford Armistead got out of the way. Ken had the best hand with [Kd][Js] but had to doge Paul's [Kc][Th]. The [As] came right on the turn to give Paul broadway, and Ken was looking for a jack to chop. Instead, the [2c] hit the river to send Ken to the payout desk to collect his $4,391 for 4th place. Ken Eggleston opened the pot from the button before Arthur Desjardins moved all in from the small blind. Paul Giancola made the call from the big blind, and Ken got out of the way. The [4h][6d][6s] kept ace high in the lead, and nothing changed on the [7d] turn. But when the dealer smacked the [Qc] on the river, Paul earned the checkmark with a pair of queens. Arthur will exit this tournament in 5th place, earning $3,346 for his efforts. 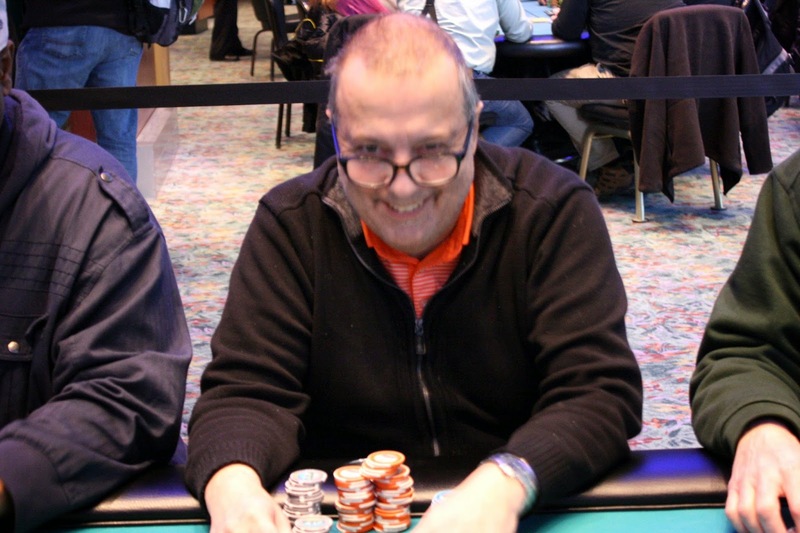 It was the Paul Giancola Show once again as he was heads up with Milton Thomas on a [9s][2s][3c] flop. Milton shoved with [Ah][8d] and Paul made the call with [9c][6c]. The turn and river fell [2h][2c] to give Paul the winning full house, sending Milton to the rail in 6th place. Milton will earn $2,719 for his efforts. We finally found a player that Paul Giancola couldn't eliminate! Kenn Eggleston was all in with [As][Ah] against Paul's [Ad][Qh], and the aces held up through a [7c][Th][3s][Td][4h] board. Paul will increase his stack to 480,000 as the blinds increase to 5,000/10,000 with a 1,000 ante. 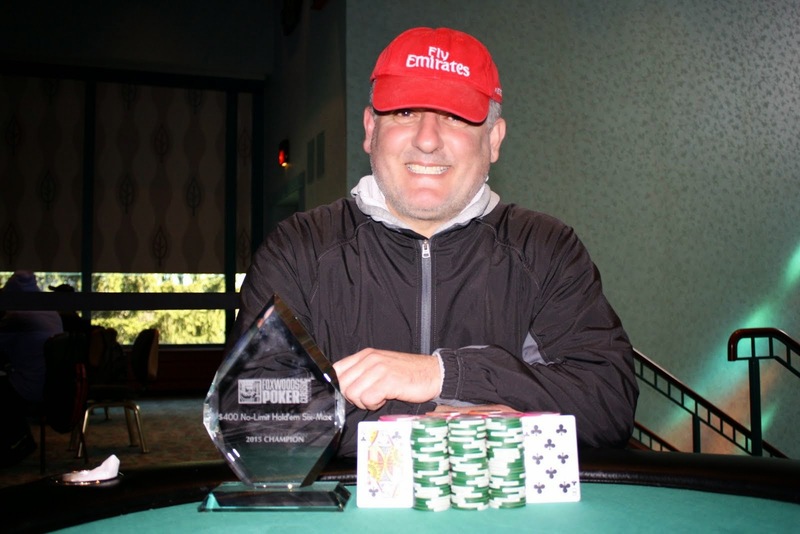 David Ives was all in preflop with [Kd][Kc] and was in great shape to double up against Paul Giancola's [Ts][Td]. Paul seemed to be an unstoppable force as the flop fell [9d][8h][Tc], giving Paul top set. David couldn't find a king on the [2c] turn or the [Jh] river, and he will be eliminated in 7th place. David earns $2,196 here today. Frank Diaz was all in with [Kh][Td] against his opponent's [Ad][Qs]. 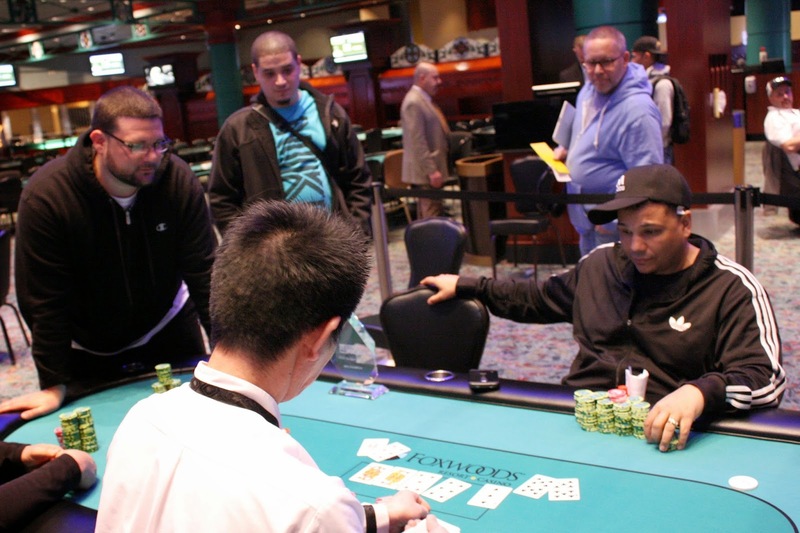 The [4s][2h][4h] flop was no help for Frank, but the [9h] turn gave him a flush draw to go with his two overcards. 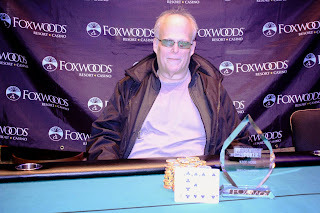 The [6s] river was a blank, however, and Frank will be our 8th place finisher. He will earn $1,778 for his efforts. 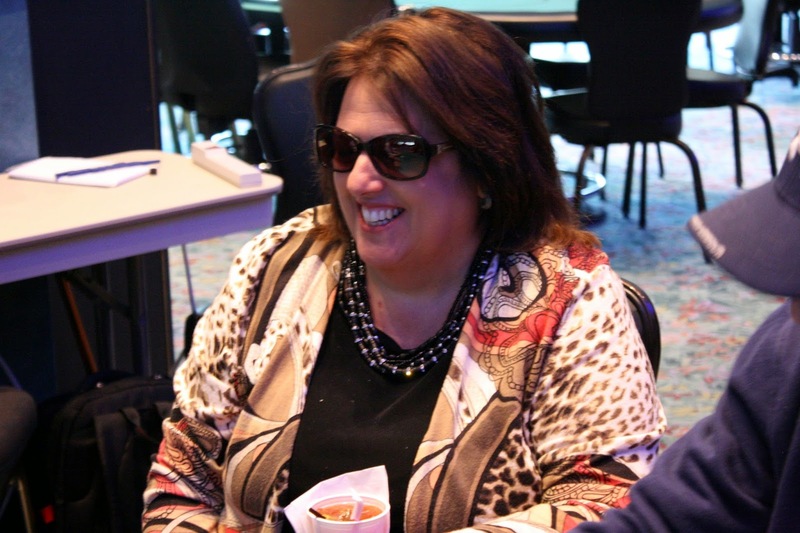 Joanne Milburn raised preflop before Paul Giancola reraised. Action folded back to Joanne, who gave pause before moving all in. Paul snap called. 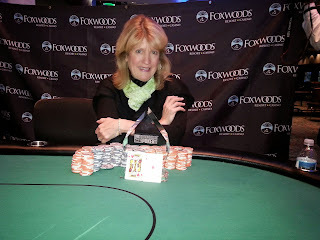 The board ran out [5h][Qd][5c][7c][3h] to send Joanne to the rail in 9th place. She will earn $1,416 for her efforts. 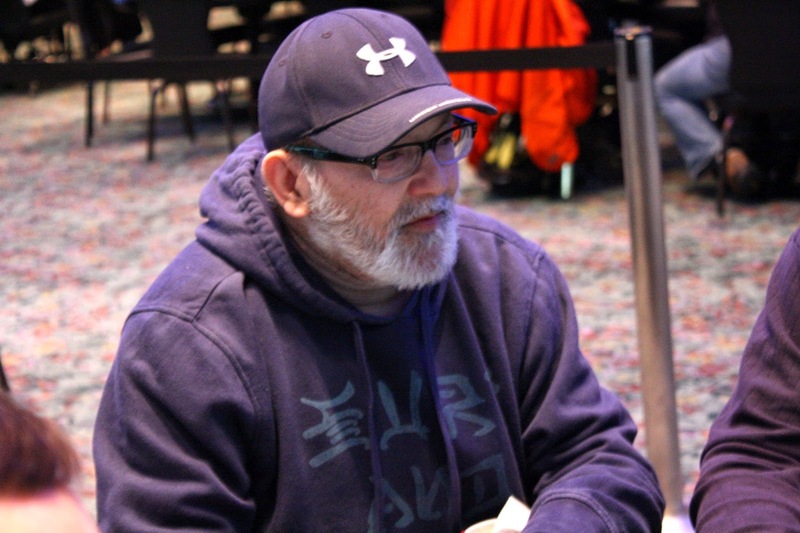 On one of the first few hands of Event #15 $400 Seniors Final Table, Mark Checkwicz and was all in and called by Arthur Desjardins. Mark was a 60/40 dog with his [Kd][Jc] up against [Ah][Td]. Though the [Ac][3h][6c] wasn't good for Mark, the [Kh] turn gave him a glimmer of hope. 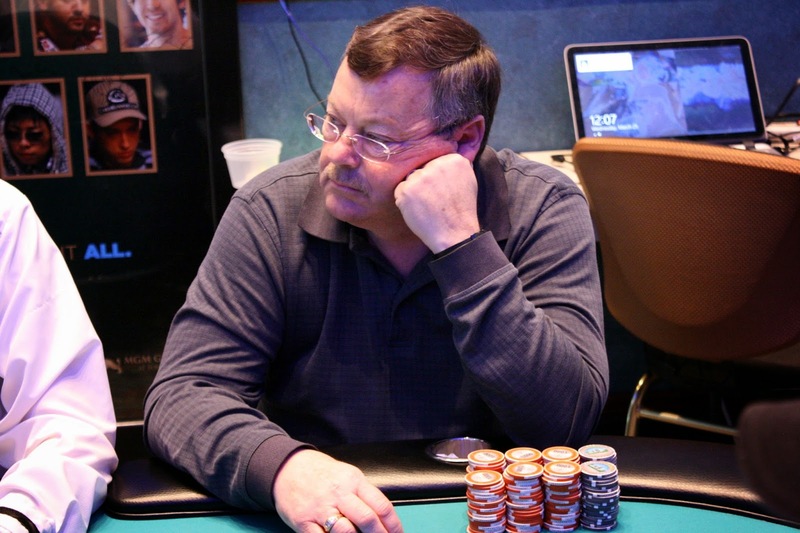 The [6d] hit the river to eliminate Mark in 10th place, good for $993. After the hand, Arthur was put on a one round penalty for exposing his hand while action was pending. Registration will be available through the end of the 6th level. Levels 1 - 12 will last 30 minutes. Levels 13 and up will last 40 minutes. 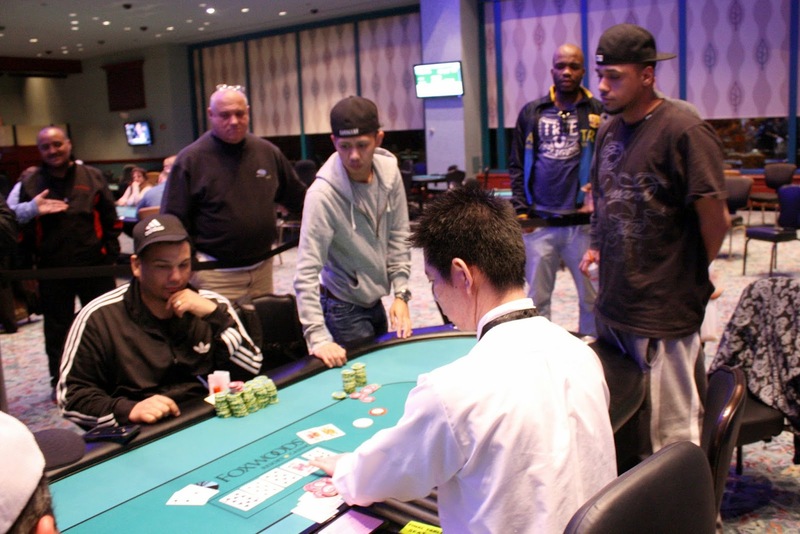 On the final hand, Eric Siegel was all in preflop holding [Ah][8s] but was up against Djony Centeio's [As][Kh]. The board ran out a pure [Jc][5s][3d][3c][7h], and the stacks were counted down. 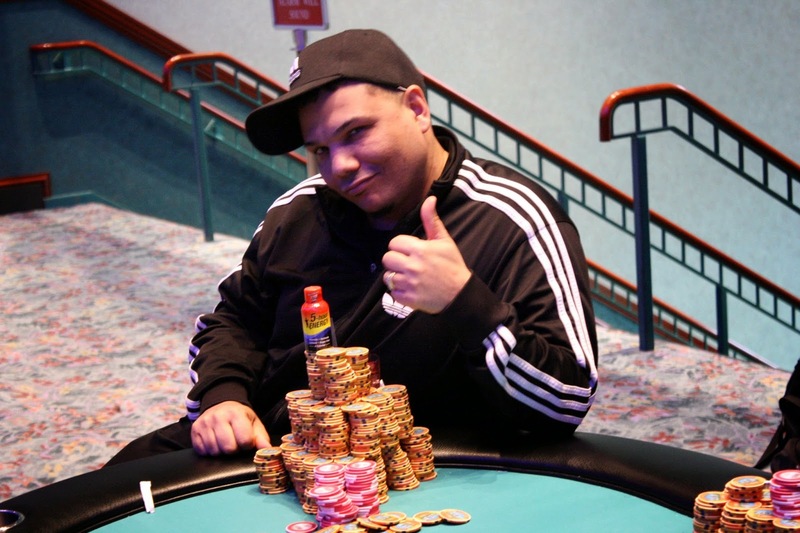 Djony had a slightly larger stack, so he will win Event #14 $400 NLH. Djony will collect $18,921, the title, and the Foxwoods Poker Classic trophy. Congratulations, Djony! 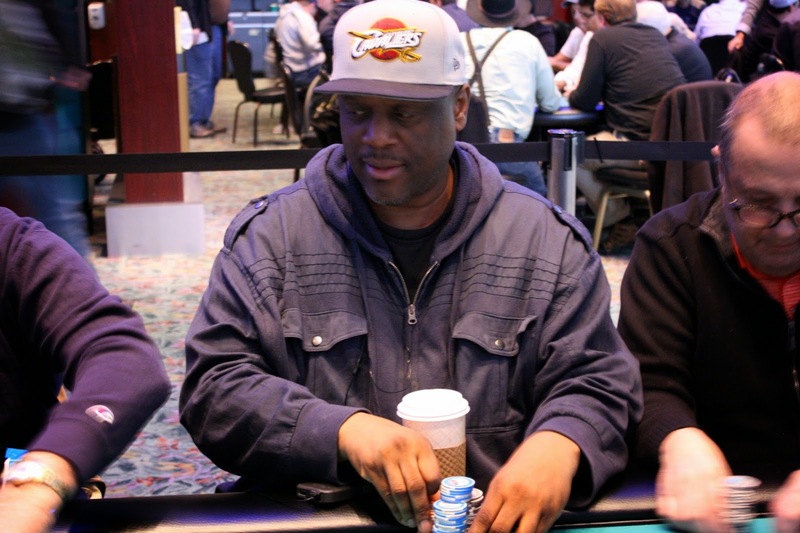 On a [Jh][4s][7d][5s] board, Eric Siegel checked and Frank Flowers moved all in. Djony Centeio folded, and Eric made the call. Frank had a straight draw with his [6d][2d] and was up against Eric's [4h][4d]. The river landed the [Ad], and the stacks were counted down. Frank was slightly outchipped by Eric, and so Frank will take 3rd place. 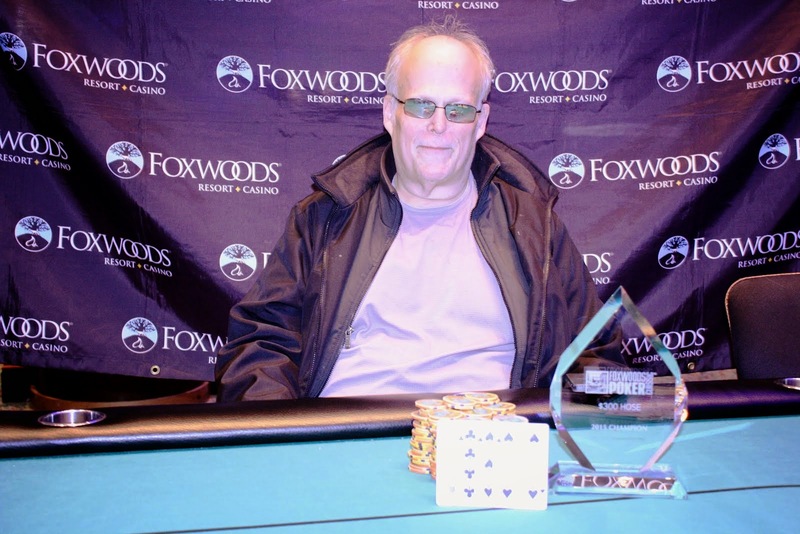 Because of the 5-way deal, Frank will take home the lion's share of the prize pool, $30,000. 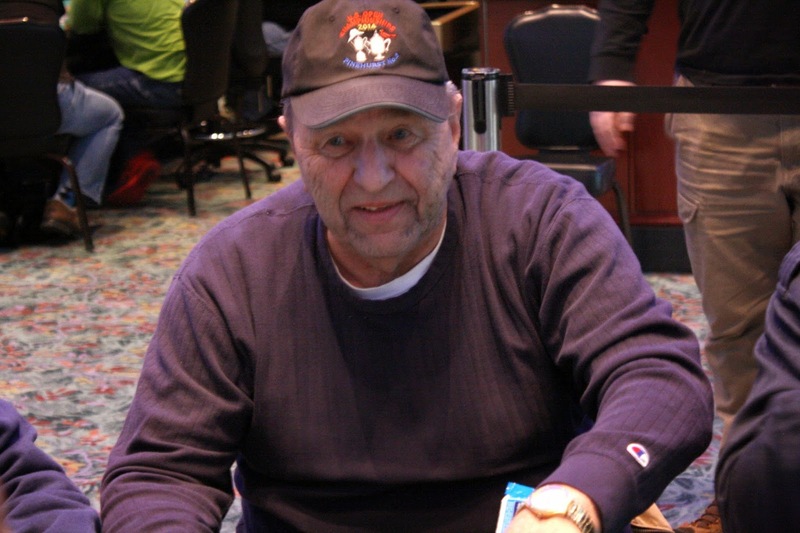 Dennis Zolo has been eliminated when his ace-six ran into the pocket tens of Frank Flowers. Dennis will earn $15,000 for his 4th place finish today. Jovy Ounthongdy has been eliminated when his ace-x was outdrawn by Djony Centeio's king jack. Jovy will take home $15,000 after his negotiated 5 way deal, and will officially take 5th place. A five way deal has been made to pay Frank Flowers $30,000, and give $15,000 each to the other four: Eric Siegel, Dennis Zollo, Jovy Ounthongdy, and Djony Centeio. 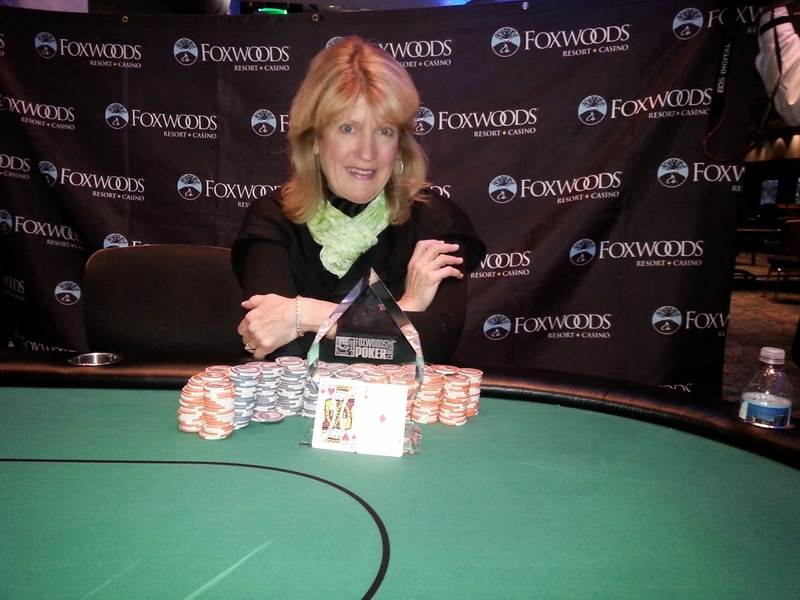 Play will continue and the winner will take home the remaining $6,421 and the trophy.